Ghost chairs are my latest obsession! I think they look amazing as a dining option, extra seating in a living room or for my purposes as a desk chair! We are looking to add the Louis Ghost Chair not only for functionality but since it's clear it doesn't look like it's taking up any space! The originals are really pricey and not what we're looking to spend - so the hunt is on for a better alternative and right now Amazon has the exact one we're looking for! Perusing Pinterest has been fun - especially because you can see it incorporated in different styles! I'm also slightly obsessed with them in a modern wedding ceremony! Do you like ghost chairs? 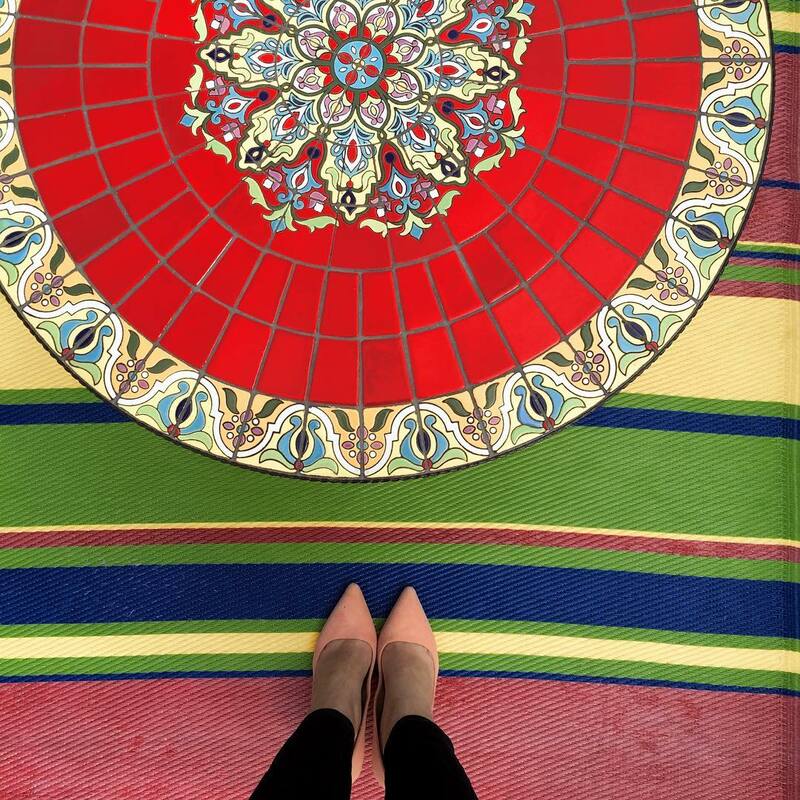 How would you incorporate them into your home? I love ghost chairs! I feel like they' be uncomfortable but throw a good pillow on there and you can make it work! 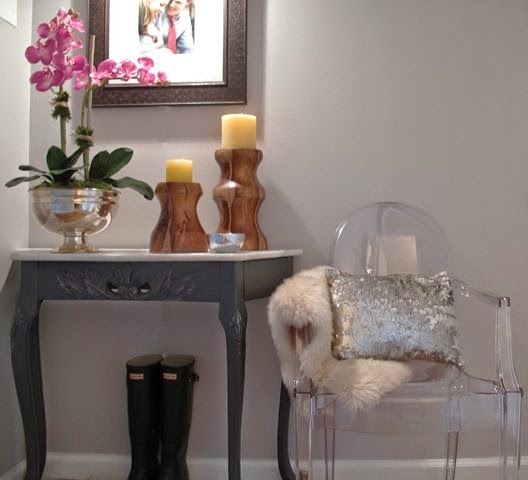 I love the sequin pillow with it! If I ever have a home office I want a ghost chair for it! Oooh, I sorta LOVE this. Especially with a fur cushion thrown in the seat! So cool. I really love these. I was on the hunt for so long for a ghost makeup table. But then we moved here and it didn't need to be ghost anymore because i had more space--but I still drool over ghost furniture whenever I see it! I love these chairs! I need one for my office. Great inspiration Biana! Oh I love that round office one!!! Home Goods had a few ghost chairs the last time I was there -- I wanted to purchase so badly but I resisted since I just got my desk chair not too long ago! Love all of these photos! They look like they would break easy, no?! 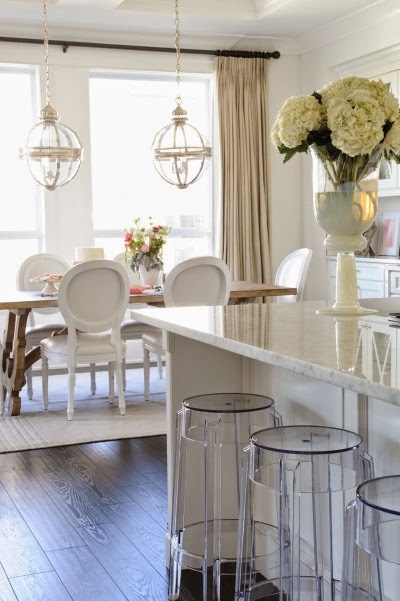 I LOVE the farm table and lantern look! omg i LOVE them at weddings! never knew they were called that. gorgeous. Ghost chairs are so fabulous. When we move to a house next spring I 100% want them somewhere in the house. The downside is they’re not very comfortable... I’d probably use them as accent pieces and not chairs where people will be sitting for a while. I love ghost chairs too!! I especially love the idea of using them as seating at a wedding - what a cool idea! When I first saw them I was a little skeptical but now they are really growing on me! I love the pin with the glitter pillow accent. One of my fav restaurants in Tampa has them throughout and they look so pretty! I concur with Ashley though they definitely are not the most comfortable things! I love them for the office with a great pillow but holy moly that wedding reception pic is gorge! Ghost chairs are seriously too cute!! I am in love with that one with the fur cushion!! They are one of my favorite design touches in a modern space. These are great examples! They give such a clean and streamlined look! 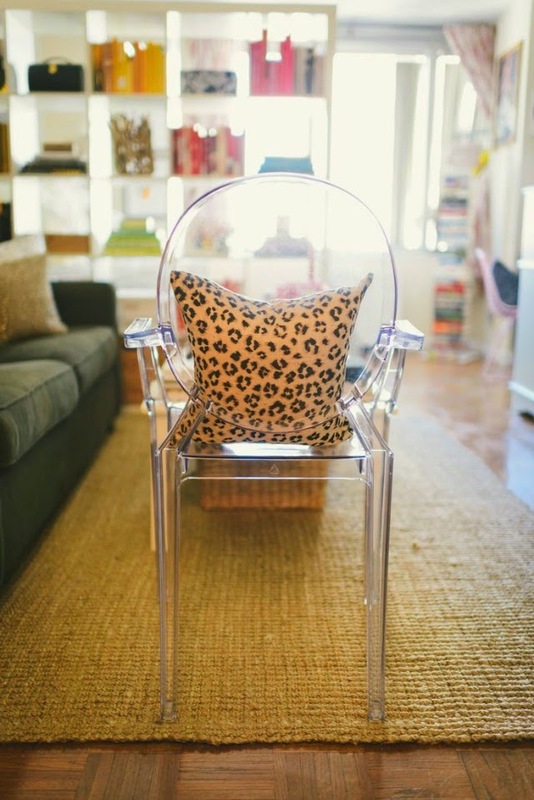 Ooooh, I'm LOVING the sparkly pillow on the ghost chair. Too cute!! I love glass chairs. They look super chic! I agree with you these look gorgeous! Can I put them in every room?! I hope you get some! I'd never heard of these chairs, before this post. Very intriguing concept. oooh i like the ghost chair styled with a fur pillow! I'm as obsessed with ghost chairs as the next girl! 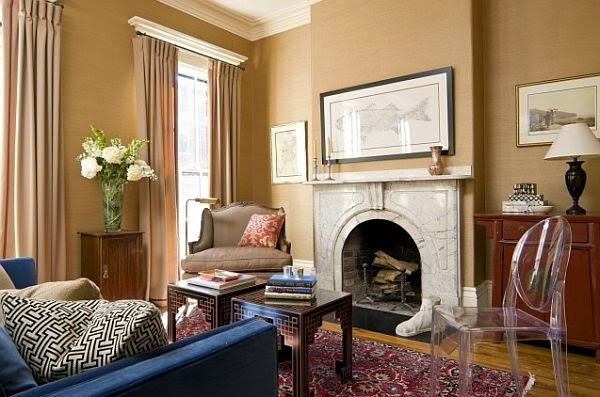 They are so stylish and sleek, and they don't take up hardly any visual space no matter what room you put it in. 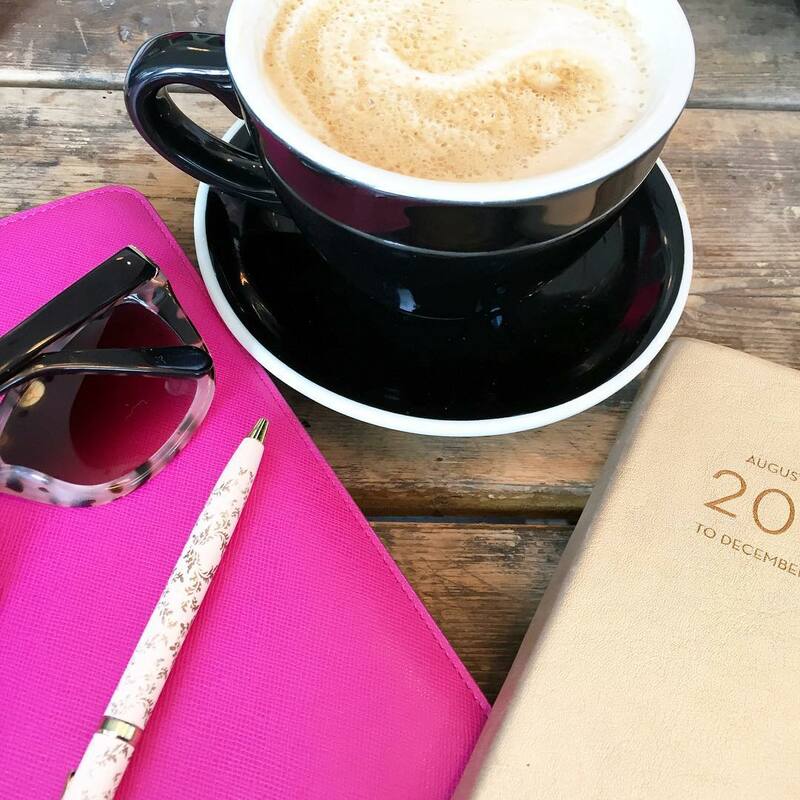 Just a word of caution - I have heard that they are ridiculously uncomfortable, so if you plan to use it as a desk chair, you probably will want to get some sort of cute cushion or pillow for it. Completely obsessed with these chairs!!!! After looking at these gorgeous pics, I've decided I need one in my life! 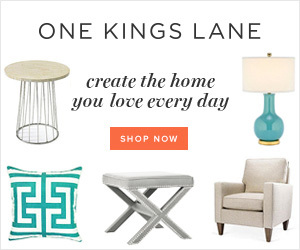 I can't decide what I like more...as a desk chair, accent chair or a dining chair. 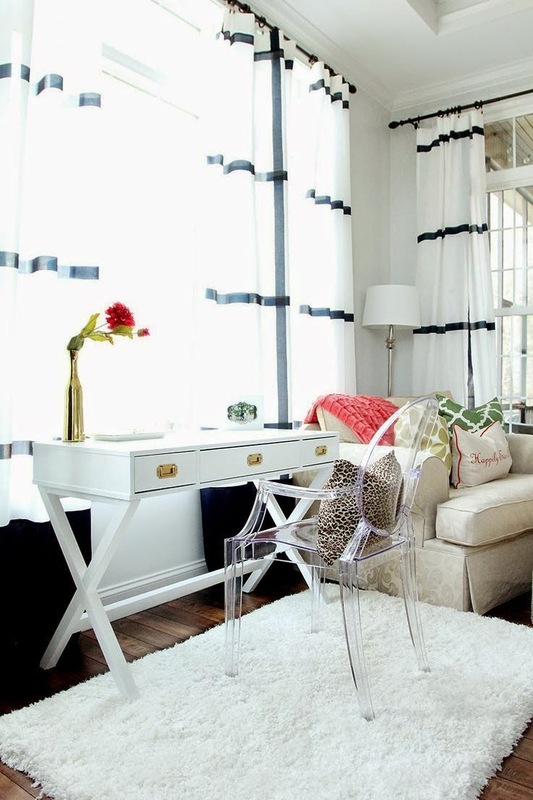 Especially loving it styled with that cheetah pillow! I like how they're used in some instances, but they're totally not my style and look really uncomfortable to me. 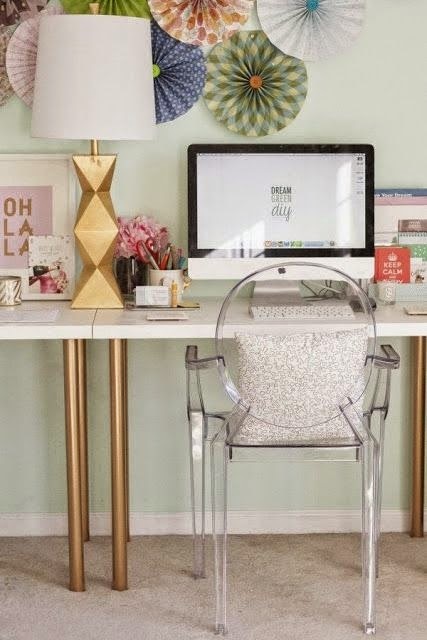 I'm obsessed with Lucite chairs and now am definitely considering getting that Amazon one... best price I've seen, thanks for sharing lady! LOVE the inspiration pictures!! 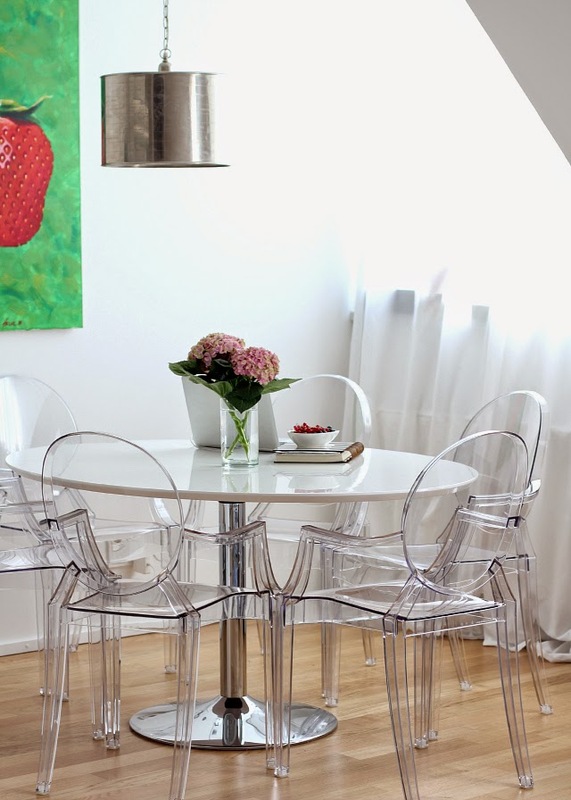 Ghost chairs can be such a great addition! Can't wait to see how you use them once you find the perfect ones! These are SO chic and modern. Fabulous choice if you live in the city, and can pull off something so sleek! LOVE! Cute! I'd totally have to have a cushion in one or at least a pillow since they look hard. The wedding ceremony with them looks amazing! On another note, we moved into our rent home and I'm finally using my sofa table as a sofa table :) Made me think of your post before about it! Love it! 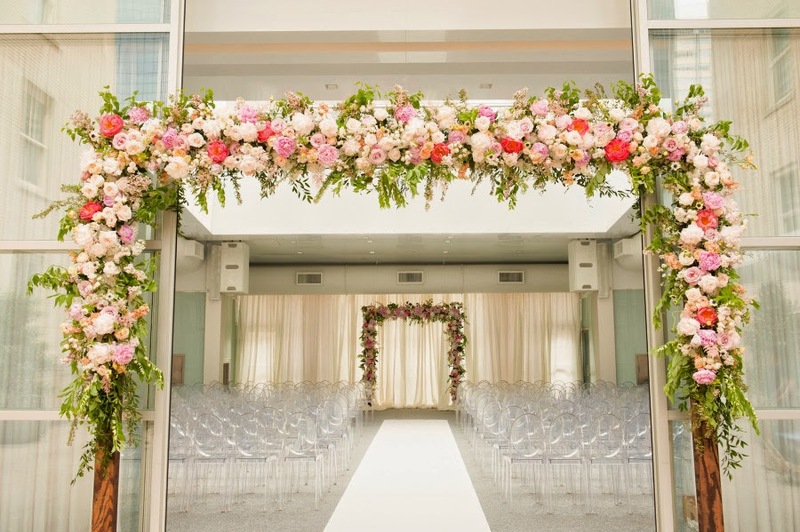 I love the wedding ceremony set up, how beautiful! And the one with the fur cushion, so cute! I might have to incorporate some of these into the new house somewhere! 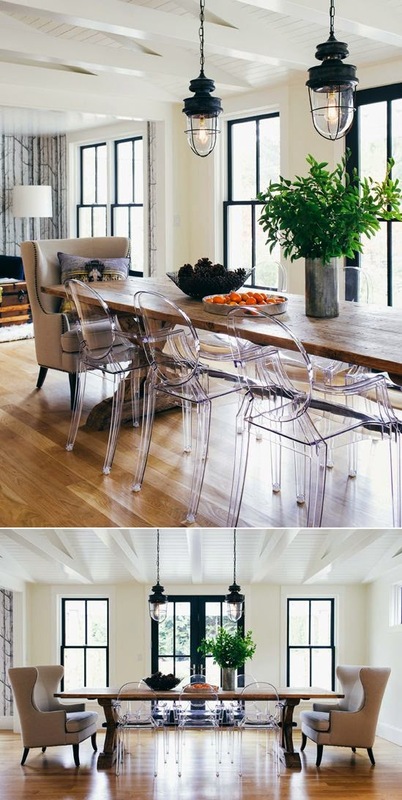 love the ghost chairs! i've been wanting one for my vanity. i have a ghost coffee table in my living area and it's perfect for a small space! I love them for the office with the little shag blanket thrown over. So chic! 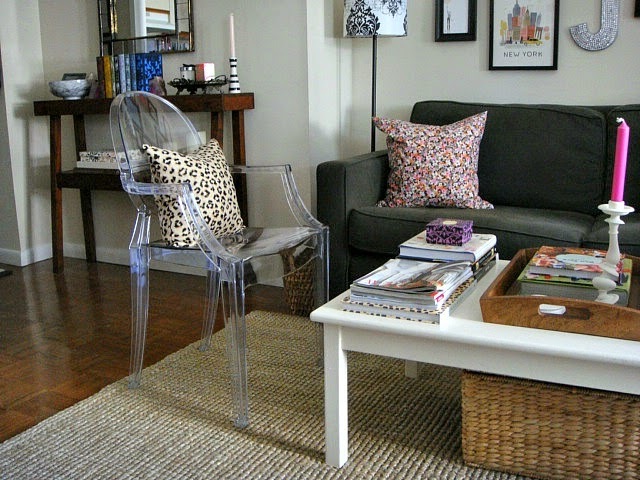 I am totally with you, ghost chairs are stupendous! You have such exquisite taste and you are a terrible influence. I didn't know that I needed these but now I feel like I cant live without a few! Haha! 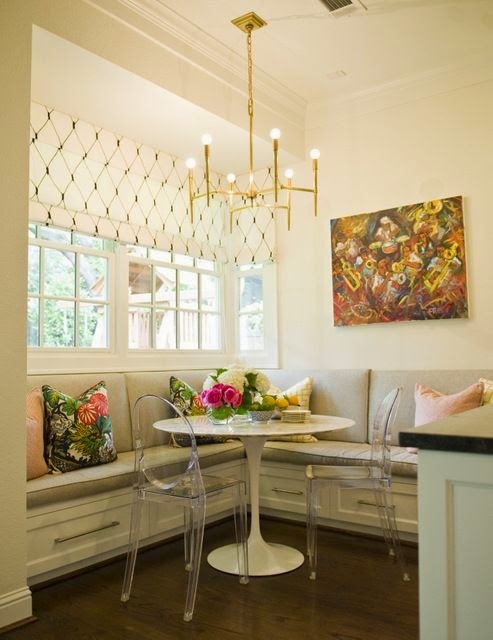 I want a little corner breakfast nook so badly! I love the ghost chair!!! I have them pinned in my office inspiration because I really want one in my office eventually. You know...when I get around to getting the crap out and a desk and make it an actual office. Ha! Omg omg omg I want these chairs so badly for years now. My problem is with kids around it will be tough so they are going to go somewhere in my room I think eventually. Boudoir chairs, a vanity chair... something like that. Love them!!! Maybe dining room in my next house when the kids move out! I wasn't a huge fan of these, but I love how much space they "add" / don't take away since they're translucent. I may be warming up to these bad boys so keep us filled in if you find a good deal! I like these when they're used in certain ways. 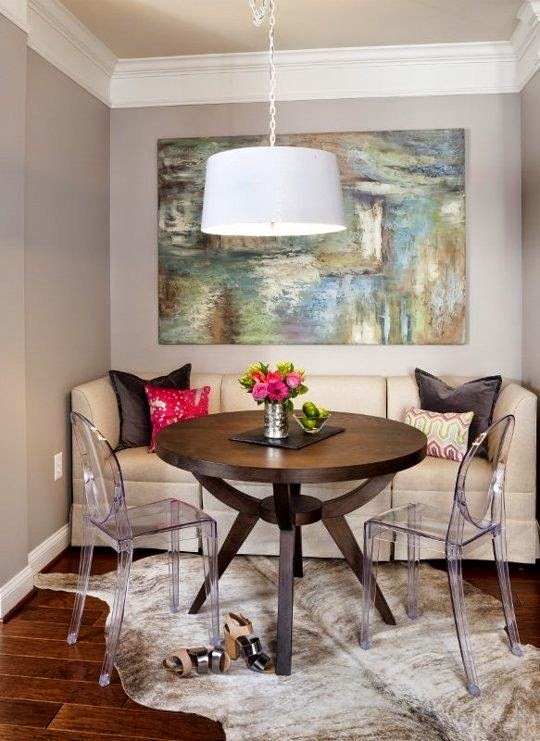 A full dining room table I'm not crazy about...but I love it as an accent chair or desk chair with a little pillow or cushion. Also love them as a pair in the first photo, it really adds a little something! oooh I love the way these really reduce the visual clutter of a room. can't wait to see which ones you score and how you style them! I had no idea what these were called but now I can see why! How cool are the bar stools? I love the look of them too- it's so cool how well they can kind of go with any theme! Love ghost chairs as desk chairs! Especially when the desk is a unique piece of furniture. 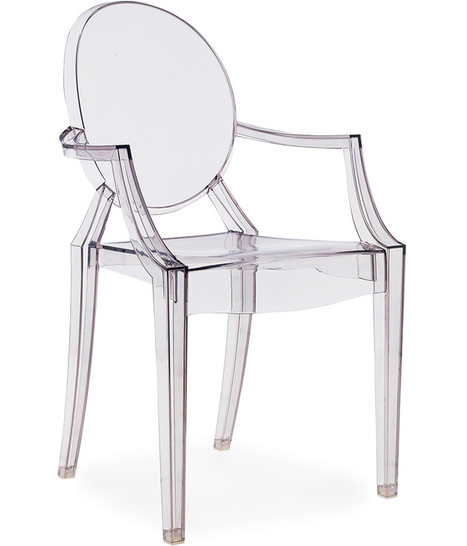 Ok so calling them "ghost chairs" is soooo much cooler than what I've been calling them...plastic clear chairs, I'm pretty sure = And loving this trend. I actually saw them at Ikea and added them to my wishlist. So chic! Oh my goodness, this is too funny! I sat in one of these chairs for the first time yesterday and told my bf the moment I got home that we needed to get one. I've seen them around before, but in person, I loved it so much more! haha oh my GOSH the SALE PRICE is 383.00!!!! so are you getting the one from Amazon!? love that you are bargain shopping - it really is the same thing!!! i think they are cute, but i would probably not use it due to being a hard chair, i like cushiony ones! Love ghost chairs! We used them for our wedding last year :) I've seen them at Ikea for cheap! I really can't tell if I like the Ghost Chairs. I think, "Nope, not for me. ", but then I see them in photos and love them! I am so torn #firstworldproblems, much? I'm swooning over the idea for a ceremony! I love these chairs! Don't you just love Amazon? They have everything! Oh my gosh, I love them as the chairs for a wedding ceremony! That is so beautiful!